Does your workout program include cable flys? If you want to build your pectoral muscles, this is one of the best exercises you can do for the pectoralis major. This exercise is also known as a standing cable fly and is similar to the dumbbell fly. It's a basic yet effective way for muscles gains. We'll take a closer look at the chest exercise. That includes the mechanics, benefits, and mistakes. We'll also take up how the exercise improves the pectoral muscles. This article will also share information about the chest fly cable machines used for chest cable fly workouts that include this version of dumbbell flies. 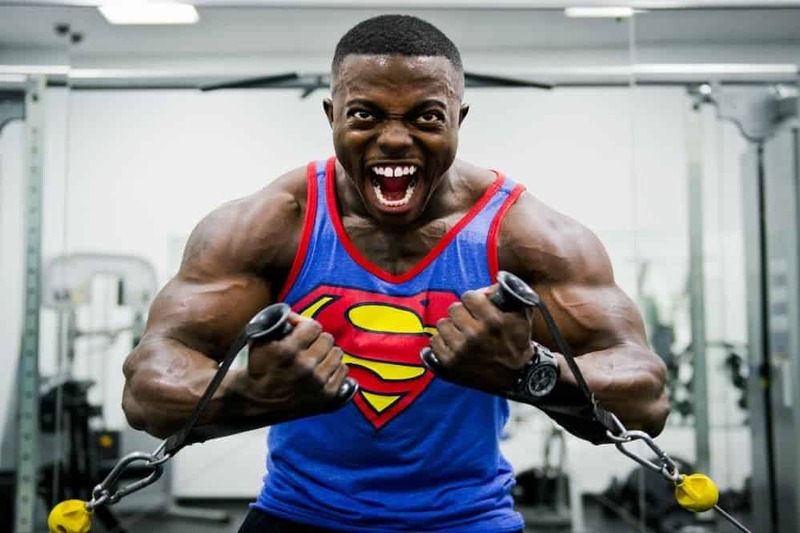 Even if you aren't a pro bodybuilder or powerlifter you've probably heard of dumbbell flyes. In fact, it's a common sight to see people doing them at most commercial gyms. It's really no wonder since it's a solid isolation exercise that boosts the size/strength of pectoral muscles. There's a catch! The exercise must be done effectively to get the best results. When people lift with weights that are too heavy, it puts extra pressure on the shoulder joints, which reduces the range of motion and causes lifting to be done with more momentum than muscles. A better option is a cable chest fly. The result is constant tension is put on the muscles during the upswing and downswing of the exercise, so you'll get better results than doing flyes using free weights. Big biceps like chest muscles can be a sign of good health and high strength. The million-dollar question is: why do the chest muscles create this perception and which specific muscles achieve that? It's all about understanding the form and function of the pectoral muscles or "pecs." This will help to understand better how standing flyes can strengthen and build these muscles. Like doing dumbbell flyes, the main muscles that are targeted when doing standing cable flys are the pectoral muscles. That includes two muscle groups. The word "pectoralis" originates from the Latin word meaning chest or breast. This exercise won't be Latin to you starting with this language lesson. You won't need to go to medical school, but you should know the meaning of major/minor. What are they all about? The term "major" refers to the bigger muscles while "minor" refers to the smaller muscle. First, there's the pectoralis major that makes up the majority of the pectoral muscle. Then there's the pectoralis minor that's the triangle-shaped muscle located under the pectoralis major. The muscle is a big muscle that extends along most of the human chest. The muscle's widest part starts at the breastbone (sternum) and attaches at the muscle's other end. That's at the upper head of the humerus located at the shoulder. The "pecs" are in fact the two muscles of the pectoralis major. When this muscle is developed, they're easier to notice in males since female breasts usually conceal the muscles. The pectoralis major includes 6 different sets of muscle fiber. This allows the nervous system to move parts of the muscle independently. Then there's the pectoralis minor, which lies underneath the pectoralis major. For example, the pectoralis major pulls on the humerus (upper arm bone) it produces a motion that's lateral/vertical/rotational. The pectorals are also important for deep breathing by creating room so lungs can expand. This is done by pulling the person's ribcage. This muscle provides much of a person's ability to move in this direction. The pectorals begin in the sternum (flat bone from throat to ribs) and connect to the joints in the shoulder and ribcage. This gives pectoral muscles the shape of a fan. It's also what allows your arm and shoulder to move the way they do. These muscles are easy to observe because of how they're positioned. It explains why people who want to improve their physique/appearance focus on these muscles. 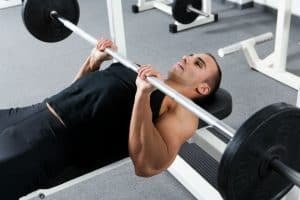 The bench press is the exercise that usually comes to mind when people think of chest muscles. This exercise involves pressing weight up/down on/off the chest. The truth is that this is one of the several exercises that can help you achieve large pecs. Standing/dumbbell flyes are other good options for boosting the size and strength of your chest muscles. Compound exercises to work whole muscles groups are critical for larger pecs. It's also critical to stimulate muscles in order to get maximum muscle/strength gains. The key is to tweak your weekly weightlifting routine in order to maximize gains. It prevents the muscles from adapting to the workouts so they'll be more likely to grow. It's also a top priority to use proper form and not overload weights. This prevents overloading the shoulders/chest, which is definitely a situation you should try to avoid. Why should you consider doing a standing chest flye, let alone a dumbbell flye? 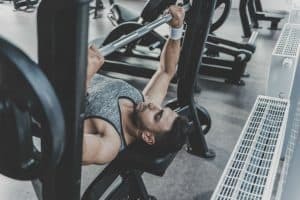 It might seem like a case of stating the obvious, but it's worth questioning whether it's an exercise that merits being added to your chest day workouts or just a "bro move." If you want to get the best bang for your workout, then the pec fly is an outstanding choice. It works a wide range of muscles including the chest, shoulder, triceps, and even the shoulder's stabilizing muscles. This is a fancy term that refers to the ability to pinch the shoulder blades together. This movement is critical for battling bad posture that results from sitting hunched over a mobile device, desktop computer, or steering wheel all day. In fact, a sedentary lifestyle is one of the biggest causes of various health problems today like obesity and high blood pressure. The situation becomes exponentially worse when we maintain bad posture for several hours during the day. The basic steps for doing a cable fly exercise are somewhat easy. The key is to make sure you're making sure to use proper form and steps. Slightly bend your elbows and use the left and right hand to hold a D-handle that's attached to the high pulley. They should meet between the height of your chest and belly-button. Keep your elbows bent, chest up, and core braced. Hold the hands together with the pinky fingers touching, while squeezing your pec muscles hard. Focus on how the movement of the wrist/arms puts tension on the middle region of your chest. During this process maintain full control of the weight. Some examples include palms facing forward/backward. This will help to trigger muscles in different regions of the chest. 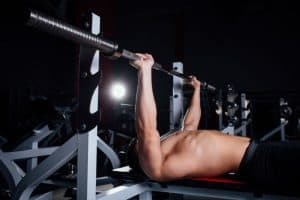 If you want to increase or decrease the intensity of this chest exercise, then this is the most effective method. The key is to find the sweet spot that will produce the best results. So how do you know if you're using the "right" weight? The standing fly should be challenging but not cause you to compromise good form. If it's your one rep max (1RM), then it definitely means you're lifting too heavy. Here's a simple test you can use. If your last rep was challenging but not impossible to finish then you're using the right weight. If it was a piece of cake or hard as nails then not so much. This helps to prevent the lower back from arching too much during the exercise's lowering movement. The core isn't the star of the show, but it's critical for getting in the most effective workouts possible. Keeping your core tight will keep your back straight. This is the downswing movement of the exercise. The positive phase (upswing movement) should be faster. Here's why. The negative phase is easier than the positive phase so you can compensate for it by slowing down the process. This will help to get the best results from the exercise, which in turn helps to maximize gains. Some examples include bench press or stability ball. Do some research to find exercises that will complement standing flys well. This will help to give the chest muscles a super workout since you'll be hitting the pec muscles at different angles. Grab the handles and step forward, so the weights stop touching the rest of the weight stack. Bring the hands together in front of the chest and a little under the chin. Keep your chest up, and shoulders retracted. Keep your elbows bent a little while doing the whole repetition. Grab the handles and step forward and bring the hands together under the chest. The arms should be a little bent. When designing a workout one of the main alternatives to standing cable flyes is dumbbell flys. Both are great exercises to build muscle mass but which one is a better option? Both have pros and cons so it's critical to know some of the main ones so you can choose wisely. This issue continues the debate about whether cable machines vs. free weights provide a better option. What's the verdict? Both free weights and cable machines like ones for cable flys offer some key benefits. 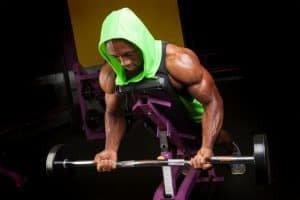 Having this know-how can help you choose wisely when picking equipment for your chest workouts. In fact, if you want to get optimum results, you should consider using both types of weight-resistance training. This can give you the best of both types of equipment. Like other activities, you can do more effective cable flys by knowing what not to do. Learning the most common mistakes can help to prevent making them yourself. The right way to do flyes is to bend the elbows slightly. Keep that position from the bottom to the top of the rep.
A mistake exercisers often make is starting the flye like a press since the hands are close to the shoulders. Why is this a mistake? A press uses the triceps when the goal of flys is to isolate the pec muscles. As with other types of exercises, it's important to do flyes using a slow and controlled motion. People tend to do flyes in particular too quickly. Don't have the need for speed. You risk not working the chest muscles as effectively as possible, and increase the risk of injury. This is the most common mistake when doing standing flys. The main culprits are too much weight or improper form. Sometimes lifters do one or the other, and other times they get an E for effort for doing both. When your shoulders are rolled forward, it puts your body in a bad position. This can put extra stress on your shoulders and cause injuries in the future. 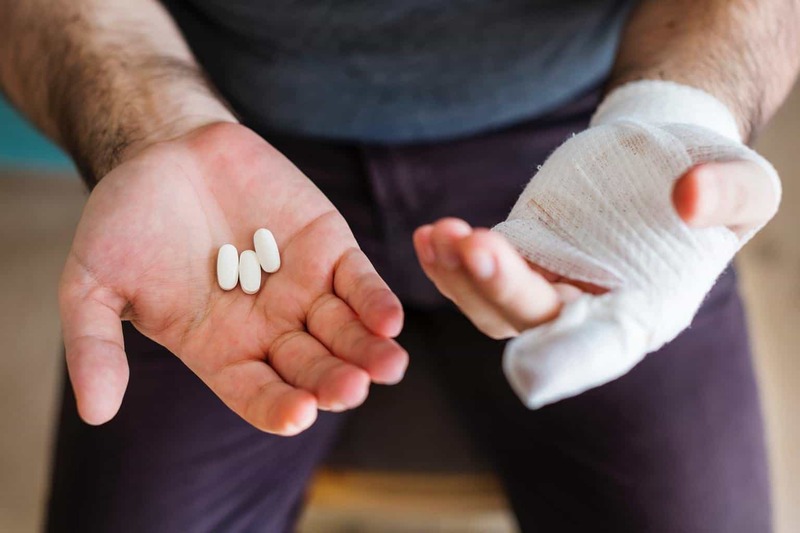 These are both situations you'll definitely want to avoid. This is related to the problem you can experience doing dumbbell flyes. Here's what happens. Cable handles often pull hands backward and extend arms past what's comfy for your shoulder joint. So what's the problem? If your muscle strength isn't high enough for this part of the range of motion, it can put extra stress on the areas. Any personal trainer will tell you that's a bad thing. Here's the fix. As you near full extension slow down your motion. This will help to maintain better control. This is still critical even though you're using a cable machine to do flys. A slow/controlled motion should be your goal. This might seem like a misprint. What does your stance have to do with a chest exercise? It's all about your center of gravity. Even when doing chest exercises it's critical to have full range of motion. That's more likely if you don't use a split stance. If your foot stance is side-by-side, it can be super-tough to keep balance when you move your arms forward. The solution is a split stance with unlocked knees. This helps you make changes to your center of gravity and produce the force needed for the full range of motion. If you want more stability, you can even turn your back foot a little more sideways. This produces a strong platform and is especially helpful when you start the movement. If you want to extend the range of motion, then let the hands meet like a regular flye then cross each other. This stimulates the inner pecs more to provide you with a better workout. The key is to make sure you take this step in a controlled vs. a sporadic way. It's critical to maintain control to counter-balance the asymmetry you've added to the exercise. That's just the start. Make sure also to alternate which hand crosses over the other one. This makes the exercise a little tougher so make sure to focus on the exercise so you'll get the best results. An alternative is to move the hands so close together they nearly contact each other. If you don't take this step, you'll get fewer benefits doing cable flys. When doing cable flys, it's important to make sure the left side mirrors your right side. In fact, being off-center even a couple inches between the two cables can make your exercise asymmetrical. Why is this a problem? When you're off-center, there's a change in your position in relation to the machine's pulleys. So the pulley works the chest muscles from angles that are a little different. It might seem like a big issue. However, over time this can affect not only your symmetry but also how well you can maintain balance. What if you want to do cross-overs with different angles? Try raising/lowering both pulleys. Another option is to tweak the point where you pull the handles together. ​The new point can be either high, mid, or low. The key is for the distance to be equal from the pair of pulley stations. This is possible when doing dumbbell flys, but it's tougher than with a pulley machine. It's critical for weight-resistance exercises to be as controlled as possible. This helps to produce better results and help prevent injuries. Unfortunately, there's always a risk of injury when doing workouts. So it's always important to do exercises like standing flys in a way that's slow/controlled instead of fast/jerky. If you're new to weight training, then cable machines might be ideal for chest cable fly workouts. That's because the cable & pulley system is easier to use than free weights. This is due to the mechanics of the system. This makes your workouts easier and safer since the process is much easier than dealing with free weights. Do you have limited time for your workouts? If so then you should definitely consider doing flys with cable machines vs. free weights. You can save time in various ways. That includes how long it takes to set up, make tweaks, and put away weights. When you save time, it frees up time for other priorities—like cable flys! Enter your text herIf you want to get the most out of your workouts, then it's critical to use full range of motion. This is easier when using a cable machine since the movements are more controlled. In fact, it will also be easier to use proper form during the full range of motion. This helps to maximize how easy it is to do reps and thus makes your workouts more efficient. If you're looking for a flexible option for doing flys, you should definitely consider a cable machine. That's because people of different age groups and fitness levels can use it effectively. These machines are also effective for injury rehab. The exercise is more controlled than dumbbell flys so there's also less of a chance you'll injure yourself doing flys. While functional trainers are "easier" that's not entirely a good thing. Free weights are good if you want to create a weightlifting "foundation." That's because your whole body is engaged. That includes hand-eye coordination, central nervous system, etc. Aren't these things activated when using a cable machine? Yes, but it's to a lesser extent. You could spend $100 on some dumbbells/barbells or $1000 on a cable machine. If you're a tight/fixed budget, then free weights might be a better option. This is especially true if you're just getting started on your weightlifting journey. 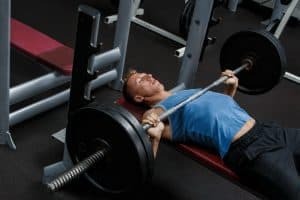 Is your top goal muscle/strength gains? If that's the case, then it's highly advisable you consider free weights vs. cable crossover machines. It's easier to lift heavy with free weights vs. weight stacks, which can help to boost gains. Another plus is you'll be engaging more muscles during the upswing/downswing phases of the exercises. Free weights are better when you want to work multiple muscle groups at one time. You can do that with functional trainers, but they're less effective. Do you want to get a full upper/lower body workout? If so then it's easier when using free weights since it's easier to engage multiple muscle groups with one compound exercise. You won't have the help of cables/pulleys. What's the maximum weight stack you should look for? It really depends on various factors. If you're a casual lifter, then a cable machine with a low weight would be good enough. On the other hand, if you're a bodybuilder or powerlifter, for example, you'll want to lift heavy. In that case, you should look for a higher weight stack since you'll be doing tougher workouts. two people can use the Smith machine/home gym at the same time. Saved time means better workouts. Besides cable crossover flyes you might want to do other types of exercises. This should help guide you when picking a cable machine. What options do you have? You can go with a basic cable machine if you're planning to do standing flys and other chest exercises. However, if you want more options in terms of exercises, you should consider a home gym or functional trainer. These units often include attachments like Lat/Straight/Curl/Tricep/Pull-up Bars. The Pull-Up Bar is one of the most versatile attachments to look for. You can use it for pull-ups and chin-ups as well as close and wide grip. These items add more versatility to your workouts. You can combine them with standing cable flyes to get a full upper/lower body workout. The old saying "you get what you pay for" certainly applies when picking equipment for cable flys. Consider the design of a machine not only in terms of durability but also features. This is the nitty-gritty of the machine but is critical for determining which one best suits your needs. Do you need all bells and whistles on the market? You might, but a better approach is to pick a machine for standing flys that suits your wants and needs to a tee. The price range of cable crossovers can vary considerably. In general, they're about $200 to $1000 based on the different features you're looking for. The price is based on various factors like materials, quality, durability, features, and warranty. A basic cable machine is just for basic exercises like cable flies. Meanwhile, if you want to do more exercises, then you should be prepared to pay a heftier price. One thing to keep in mind is weight-resistance equipment is an investment in your health. Sure, you'll have to spend some money for a quality unit. That said, can you really put a price tag on your health? If the answer is no, then it's arguably worth spending more money for some extra bells & whistles. You can also save money in different ways. Online retailers often offer sales, discounts, and promotions on products like exercise equipment. You can also save through services like Amazon Prime that offer free shipping for certain products. When you're buying a hefty home gym that's definitely a plus. This is easily one of the biggest factors to weigh when picking a unit for learning how to do a cable fly. It's especially critical when thinking about the types of workouts you'll be doing. There are tons of things to think about. For example, how ergonomic is the machine when doing exercises like cable flys? How many times per week will you be using the equipment? How user-friendly is the machine? How smooth are the cables and pulleys? The machine's usability should be a top priority when picking one. It will help you select the right unit for your needs instead of automatically picking the latest and greatest one. As when picking other exercise equipment it's critical to follow the "safety first" rule. Always compare the safety features of different units to make sure you're getting the safest unit possible. The most obvious factor is the safety features a particular unit offers. Different companies offer different in-house safety features. These companies often promise you the world, so it's critical to research how they work. Then compare them with similar systems to see how they stack up. This is somewhat related to the price tag of machines for cable crossover flye but not 100%. It's not about how much the unit costs. Instead, it's about what you're getting for that price. What should you consider? It starts with the durability of the cable crossover machine since that's one of the true tests of a functional trainer's value. That's just the start. There's a wide array of other issues to consider. How many attachments are bundled with the unit? How durable/smooth is the cable/pulley system? How good are the customer service and warranty provided? You don't have to spend big bucks for a high-quality cable machine. The key is to think about everything you want the cable machine to have. Then look for a unit that supplies everything at a good price. It goes without saying the chest fly cable machine should be made of materials like steel. That said, you should also consider how heavy-duty the steel is like aircraft grade, for example. Such materials will cost more but are arguably worth it. This will improve your workouts and also extend the lifespan of the unit. Those are all good things in terms of exercises like cable flys. When picking a cable crossover machine, you should also consider the quality of the cables and pulleys. Consider factors like their gauge/thickness since higher figures will extend the unit's lifespan. The (literal) nuts and bolts of a cable machine are also important. They're small components, but they're keeping everything together. Picking a unit with quality/durable components like hardware can also extend the machine's lifespan. Flimsy cable machines can also cause safety issues. 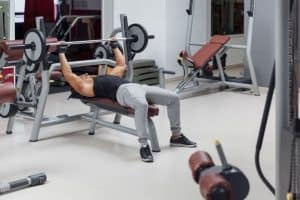 Unfortunately, low-quality materials or craftsmanship could cause the machine to fall apart during your workout, which could result in injuries. These items can add extra value to your cable machine. When attachments are bundled with cable machines you can save a small fortune on items you'd likely purchase anyway. Pick bundled accessories based on the muscle groups you want to focus on. For example, a row bar or squat rack is ideal for lower-body workouts while lat-pul bars and pull-up/chin-up bars are good options for upper-body workouts. Accessories vary from one model to another. Some common options include weights and mats, which are some must-have items for cable machine workouts. The muscle groups that are worked are based on various factors like whether you pick a standalone cable machine or home gym. The types of bundled attachments are also a factor. Cable chest flys primarily work the chest/shoulder muscles although the biceps/triceps also get a workout to a lesser degree. If you pick a unit with lat-pull, pull-up, and row bars you'll be working different muscle groups for a full body workout. How important is a cable machine's footprint? It depends on how much space you have. In the case, your home gym is a mini gym this can be an issue. Meanwhile, if you have a large home/commercial gym, it won't really be an issue. There are some issues to take up. Do you want full range of motion for all exercises? What types of exercises do you want to do using the machine? Is there a chance you'll transfer the cable machine to a bigger/smaller space in the future? There's an X-factor to consider. Larger functional trainers will also be heavier ones so it will be tougher to move/transfer them when necessary. As always make sure to account for some elbow room. This is especially important in terms of factors like attachments and range of motion. This will boost the unit's functionality and safety, and that's always a good thing! When selecting a particular unit make sure to get the exact measurements where you'll be installing the unit. The key to proper form is to avoid rolling/shrugging shoulders. The should stay back/down. Put a dumbbell in each hand resting on top of the thighs. The hand's palms should face each other. Lift them one at a time so you can hold them at shoulder width in front of you (palms facing each other). Lift the dumbbells up like you were pressing them but hold them right before locking out. Lower the arms at both sides in a wide arc until your chest stretches. Breathe in while doing this part of the exercise. While doing this squeeze chest muscles and breathe out. Repeat this movement for the number of repetitions you're doing. This is an outstanding chest exercise since it starts stretching the pectorals from the start position and hits the muscle fibers of the outer pec. Pick a pulley position based on the chest region you wish to target. Moving the pulleys up one notch makes the exercise a little easier. This is a good thing in terms of gains. You can do more reps with little/no rest before moving up to the next level. So there you have it! Like dumbbell flies, chest dips, and cable crossovers, cable flys can be an effective exercise for bigger pecs. There's a caveat: it's not an exact science, so the key is to use the form and variations to get the best results. In fact, you might even want to combine standing cable and dumbbell flys. You should also pick the right cable machine to get the best results. Weigh issues like its durability, functionality, features, value, and warranty. Having the right tool for the right exercise is the best way to get the fastest results. Cable flys can then take your chest workouts to new heights!